WhatsApp has officially launched the much awaited business app after so many years of waiting. 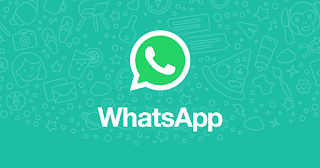 WhatsApp business app helps companies better connect with their customers and establish an official presence on WhatsApp’s service. Essentially, it’s the WhatsApp version of a Facebook Page. The app provides some of the basic functionality you’d want from a business app. You can create a Business profile with additional information like a description , address , and contact information , and enable quick replies for answers to common questions. You can create greeting messages and view some simple analytics so you can see which messages are most effective. The account will be marked as a Business account so customers can identify them and WhatsApp will also verify some accounts over time so customers know they have reached the official number. According a WhatsApp spokesperson, the current feature set will remain free in the long term, but WhatsApp plans on charging for additional capabilities in the future. Your can download from Google Playstore.